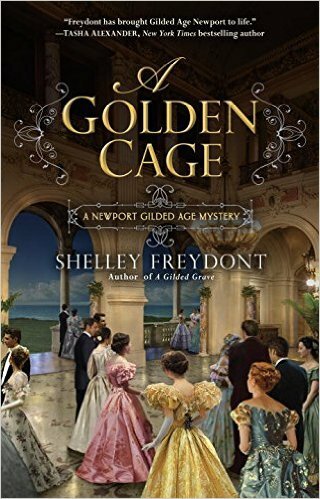 This review is a stop on the Great Escapes Blog Tour for A Golden Cage. I really need to get and read the first of this series! And all subsequent, of course! I’m definitely hooked. Incredible depth of language. That’s how I can sum up this work in one sentence. The author’s use and mastery of description, dialogue, and story is amazing. 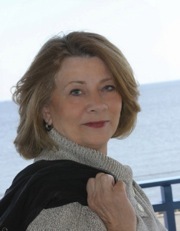 The characters are given more and more facets with each scene, which brings amazing depth to this “cozy mystery” – a genre where many authors often focus on the plot and only scratch the surface of their subjects. The author also does a great job of setting the time period through character dialogue and actions – one of the best “show, don’t tell” examples I’ve read in a while. It is very easy to become immersed in the story! I’ll admit, it would be fun to hang out with Dee, and have adventures, but she definitely needs a partner, someone to go with her and keep her out of the worst of her dangerous investigations. Perhaps there are hints this will come in future books? We shall see! You have the chance to win your own copy! Enter here, and good luck! This book challenges expectations and assumptions – growing and stretching the reader’s notions of history, the church, and legacies left behind. As promised in the introduction, this work is definitely no sugar-coated look at an interesting collection of women from the church’s history. At the same time however, the author is neither condemning nor gossipy in her overview of each individual. This is a great example of a straightforward, honest look deeper beneath the surface of each woman, while still emphasizing Christ’s redemption as the central focus. This book is best used as a study text – definitely not a one-sitting read. With the questions at the end of each chapter, and the extensive bibliography included that the reader can use to find companion texts for deeper context, I would highly recommend this book for any Bible study group! I am absolutely going to have to read through this fantastic work several times again to get deeper, and see what I missed. In just 6 words, the subtitle of this work: “The Art of Being a Wife,” captures the book’s essence in a way not many subtitles do! The word pictures, the ways Ms. Rainey describes the world of relationships, all are full of rich color, depth and meaning. Relating marriage to different types of art connects with everyone in some fashion, as we all have a type of art we gravitate toward, and understand the world through. The fantastic imagery makes reading the book a treat itself, on top of the amazing content within. I absolutely love the letter format in this work. It allows Ms. Rainey to convey very clear thoughts and honest answers, while reaching out with a personal touch. She doesn’t gloss over the hard issues, nor berate those who ask for advice. She completely captures the tone of mother and mentor, and creates a book you want to read, as you know you will receive clear, caring instruction. I plan to bundle this work with “15 Verses” as gifts to my newlywed friends, as they both impacted me greatly, refining my outlook and attitudes in my own marriage!